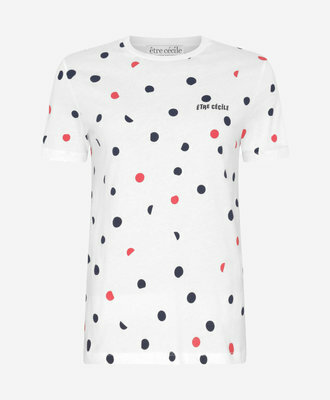 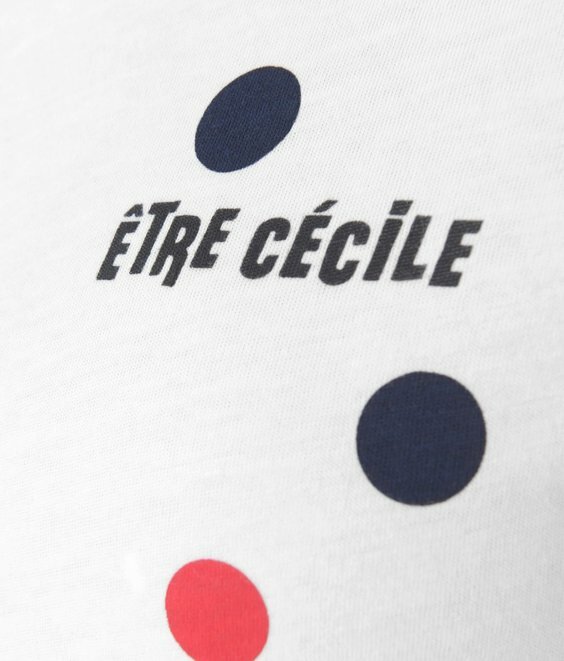 Let this T-shirt pep up your casualwear edit with a dose of French finesse. 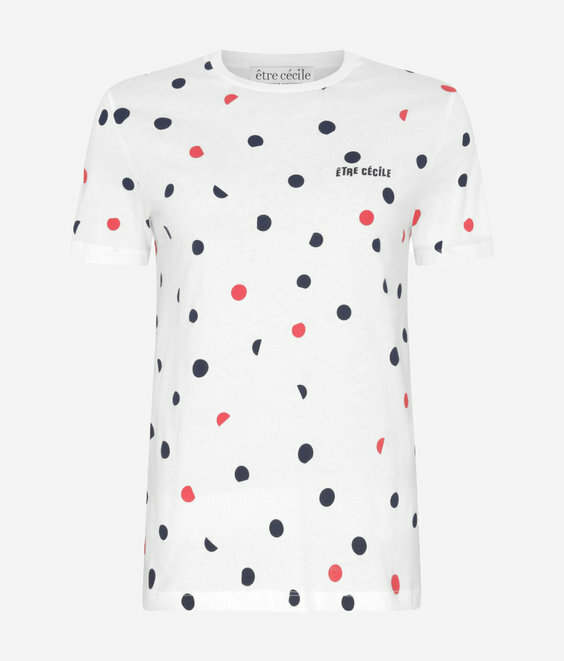 Cut from soft white cotton, it features a charming dot print in dark navy and Bordeaux red - colours which combine to offer a more sophisticated take on the classic Tricolor hues. 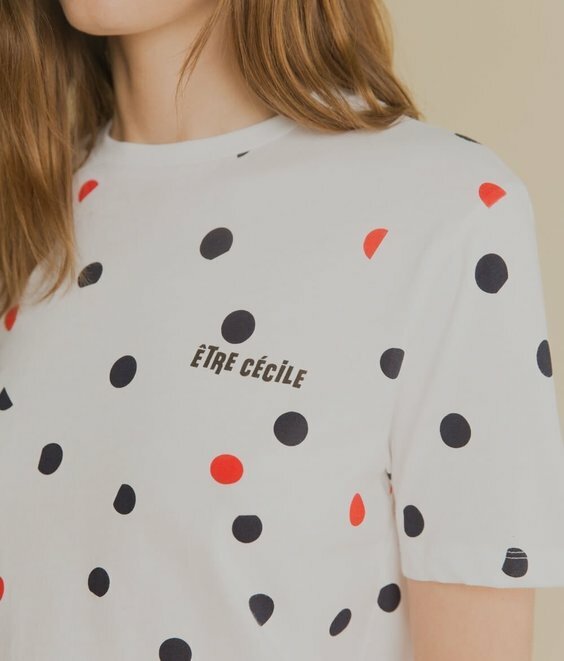 Size up for a more relaxed silhouette and wear it tucked into one of our sports-luxe midi skirts.